A Style for Every Taste - For personal use or for gift giving. Many other sizes/styles available in champagne and wine flutes to 12 ounce goblets. 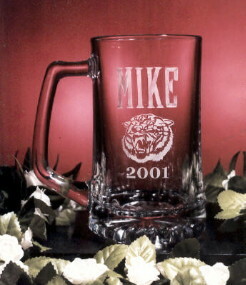 Over 30 different styles available, all custom engraved. Custom engraving of logos and quantity discounts available. Engraving is in your choice of six styles.